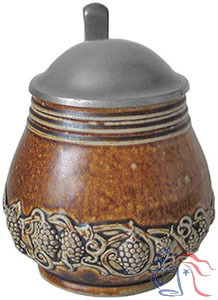 Stoneware master stein, relief, 3.5L, pewter lid. 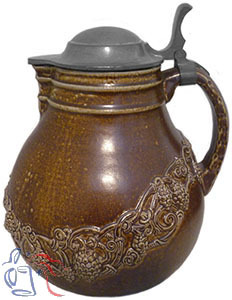 Same model number applied to 0.5L drinking steins. These two steins first appear in a Merkelbach catalog dated 1928, and the model number (4013) is well outside the normal numbering sequence for that period. 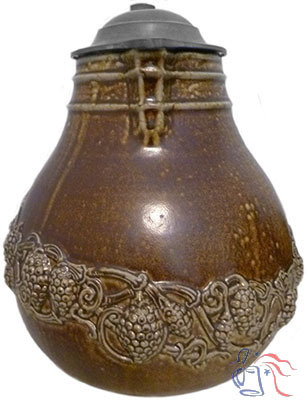 In the late 1930s, the same model number was applied to a 0.5L Bayreuth souvenir stein (not currently available).